without the fear of insects ruining the moment. It is also a great home extension for entertaining guests or a place to lounge around comfortably with your family. Through its many benefits, there is one underlying factor of screened porch that cannot be ignored: it is truly a symbol of summer. above echoes the design elements of the entire house. It complements the style of the house rather than being a complete eyesore. 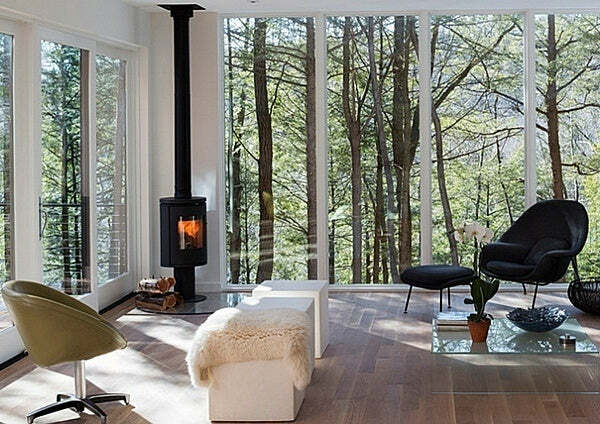 A fireplace is also a nice addition to a screened porch. It makes the place cozy, and is the perfect addition to maximize the use of your porch – a useful tool for those cool autumn and spring months. Black-trimmed screens built on top of a porch railing are a substantial way of utilizing an existing framework. It is economical and visually-pleasing as well. 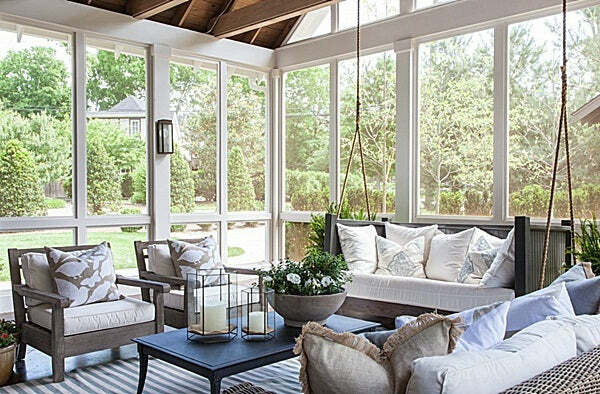 Most use a screened porch as an extension of their living room with a more resilient-from-the-weather type of furniture such as wicker. The downside of enveloping a porch with screen is its vulnerability to weather changes hence the need for furniture made of stronger materials. The flooring is susceptible to wear and tear too, so it's best to choose one that's sturdy such as stone or engineered wood rather than solid wood. Depending on one's location and the amount of precipitation they get, some people add weep holes and make the flooring partially slanted to avoid the pooling of water. 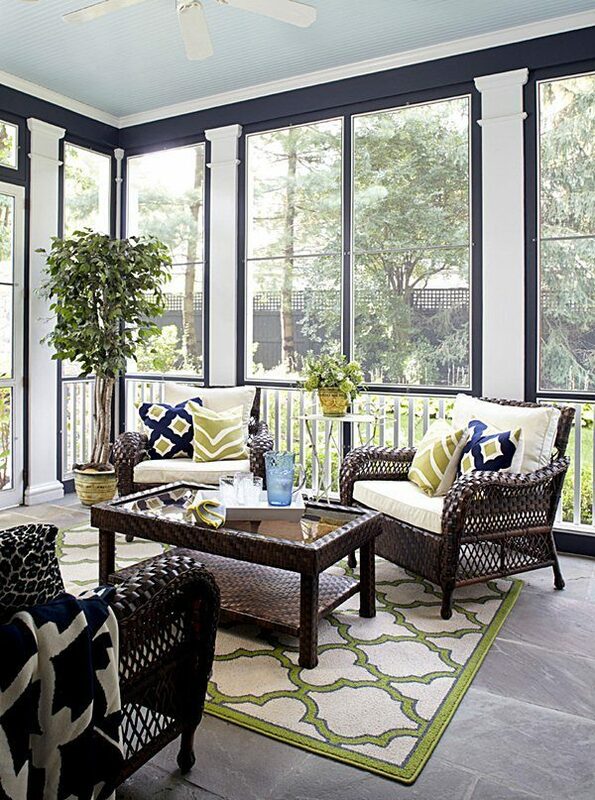 For dry months, a nice rug can make the porch more elegant and homey. A screened porch is a nice place to transform into a second dining area, breakfast nook, or a combination of a dining spot and a den. You can dine with the luxury of having an unobstructed view of Mother Nature's creations. A screened porch admits a good amount of natural light without the risk of being overexposed to sun beams thanks to the roof. That's one of the many advantages it has over a solarium. Also, it's cheaper to build and more eco-friendly. Make use of that natural light by turning your porch into a home photo studio. 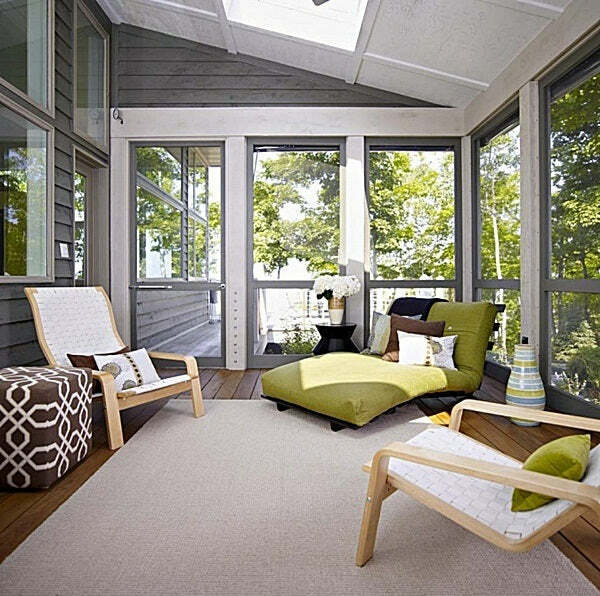 Some opt to turn their screened porch into a faux sun deck complete with a mini skylight. It brings enough sun rays in that directly hits a chaise lounge chair. You can get that much needed vitamin D while getting lost in the pages of your favorite book. Illumination is another factor that you should consider. Do you want your porch to be cozy and relaxing come nightfall or lively and bright? Ceiling fans with lights are the usual addition to porches because of their dual purpose. If you want the area to be more elegant, chandeliers are the way to go. You can choose the rustic ones for that outdoorsy feel. They go well with rattan furniture better, too. We cannot talk about screened porch without mentioning a quintessential inclusion: a hanging swing sofa. Unless you are suffering from a mean case of vertigo, a porch swing is relaxing and just plain beautiful! We prefer the ones that are cushioned for that afternoon nap. 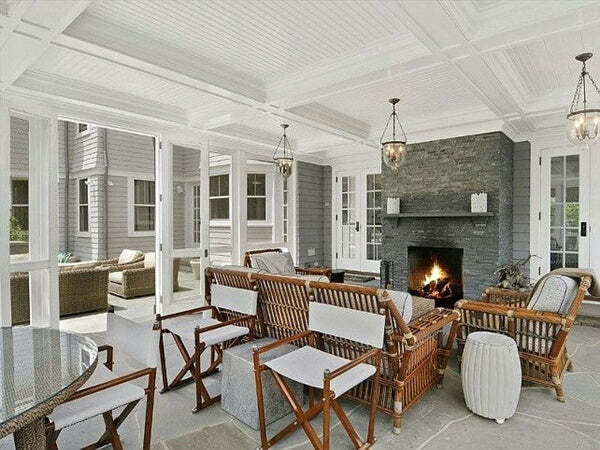 A screened porch is truly a significant addition to a home. It adds value as well as a good amount of versatile space. Happy summer!